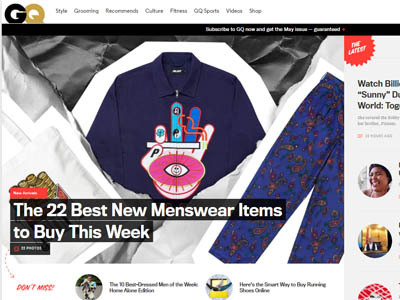 Men's fashion, style, grooming, health, lifestyle, and fitness. 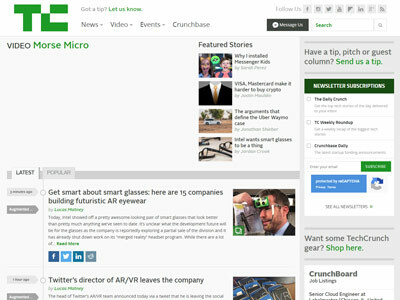 Founded by Michael Arrington and later sold to AOL, TechCrunch has remained as one of the leaders covering tech industry news. 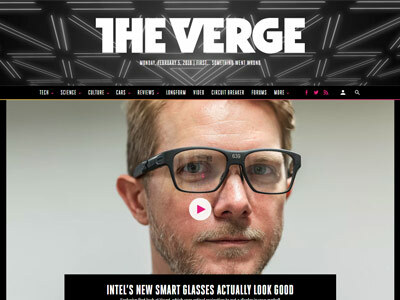 CNET tracks all the latest consumer technology breakthroughs and shows you what's new, what matters and how technology can enrich your life. 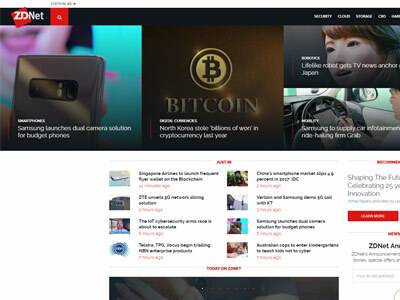 CNet also provides the information, tools and advice that helps when deciding what to buy. 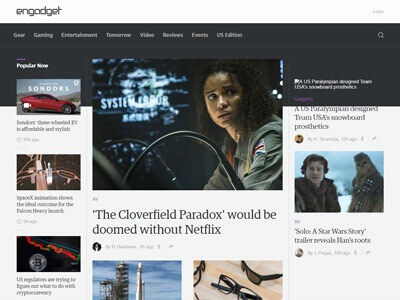 An original home for technology news and reviews, Engadget produces the internet's most compelling videos, reviews, features and breaking news about the people, products and ideas shaping our world. 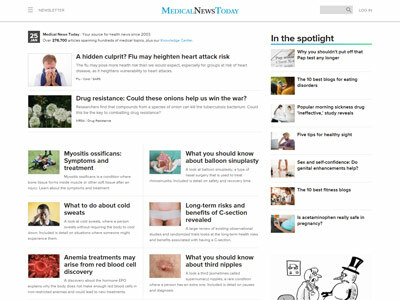 Featuring beauty tips, fashion news, and celebrity trends. 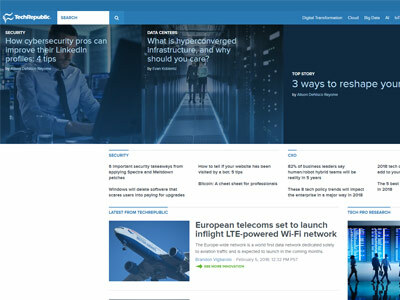 Founded in 1991, Zdnet is a business technology news website that provides news, analysis, and research on the the latest IT trends, issues and events for the technology professionals. 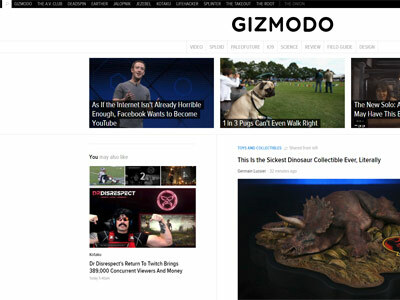 Originally launched as a part of Gawker Media Network, Gizmodo is a design, technology, science and science fiction website that also features articles on politics. 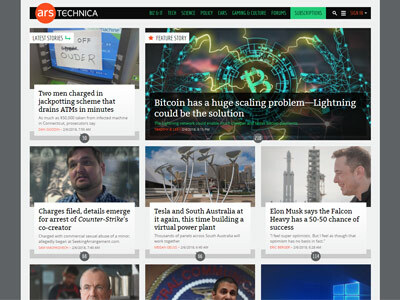 Founded by Ken Fisher in 1998, Arstechnica (Art of Technology) is devoted to the latest technology that would cater to what he called "alpha geeks": technologists and IT professionals. 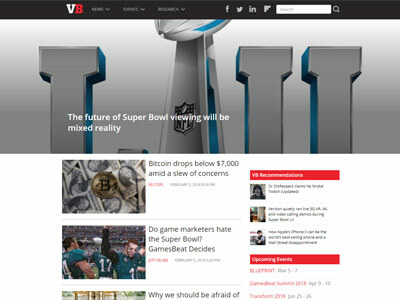 Founded in 2006, VentureBeat is the leading source for news, events, groundbreaking research and perspective on technology innovation. 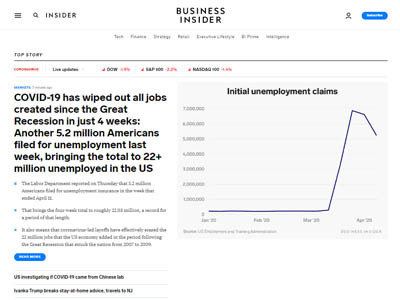 The content and events covered provide a deep context to help executives, entrepreneurs, and tech enthusiasts make smart decisions. 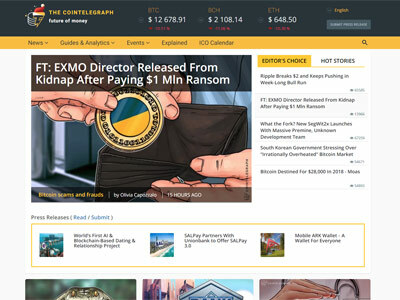 Founded in 2013, Cointelegraph is a completely independent publication covering cryptocurrency, the blockchain, decentralized applications, the internet of finance and the next gen web. 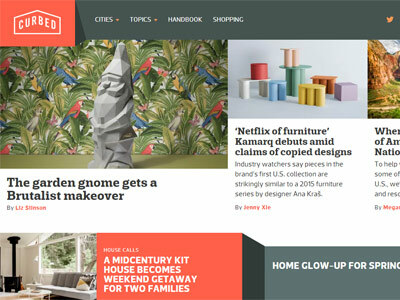 Insights into property news, development, and design. 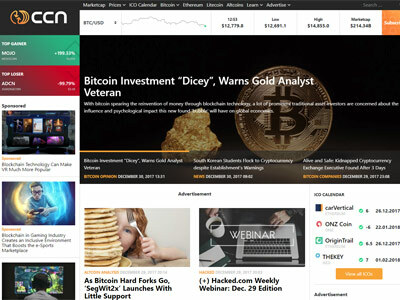 CCN provides the latest Bitcoin news, as well as other cryptocurrencies like Ethereum, NEO, Litecoin and ICOs. 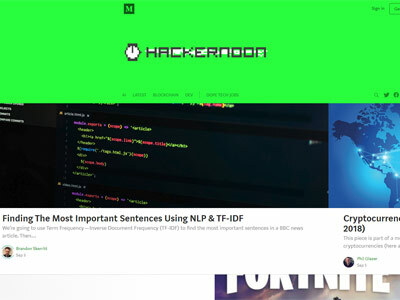 Hacker Noon covers a range of topics across the tech sector. 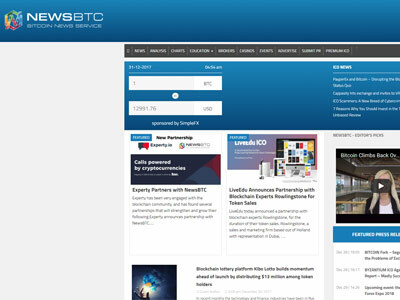 From development and programming, to cryptocurrencies and blockchain. 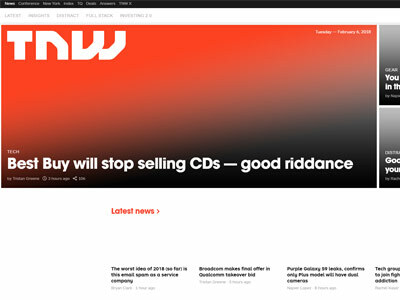 TheNextWeb brings insights to the world of technology, internet of things, development, coding, infrastructure, security, cloud. 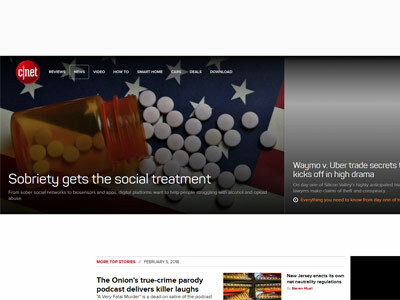 The website also deals with TNW conference and events and market intelligence platforms. 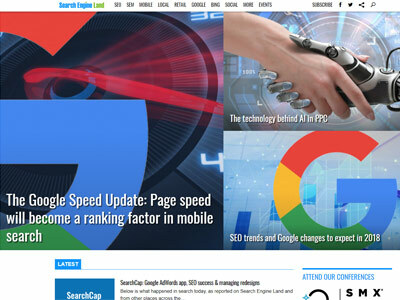 TechRepublic helps IT decision-makers identify technologies and strategies to empower workers and streamline business processes. 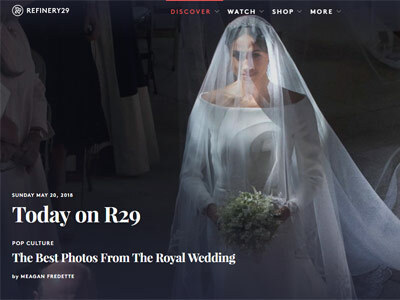 Founded by Seth Weintraub in 2007, 9to5Mac is the leading website within the Apple News Community in terms of breaking impactful news. 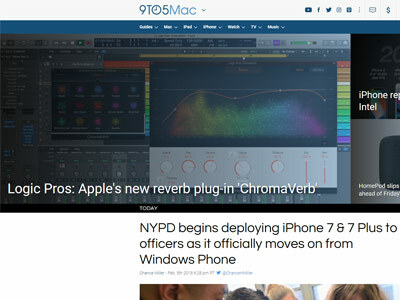 The site also contains reviews for Apple products, apps, and industry rumors. 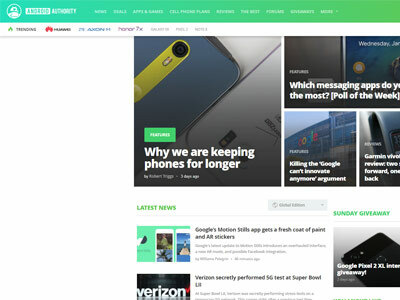 With over 7 million followers on social sites, AndroidAuthority is the largest publication dedicated to the world's most widely used operating system. 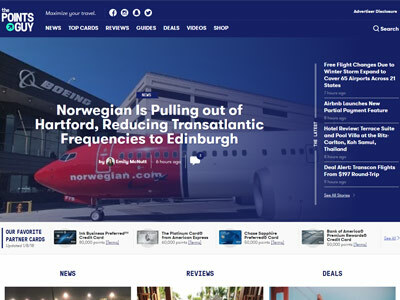 The site has a love of mobile technology and the determination to deliver top-notch content. 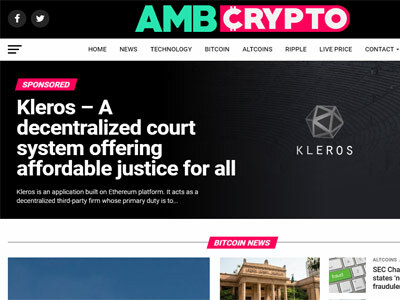 With over 3,000 Telegram followers and 1.5 million monthly pageviews, AMBCrypto covers the latest in cryptocurrency news. 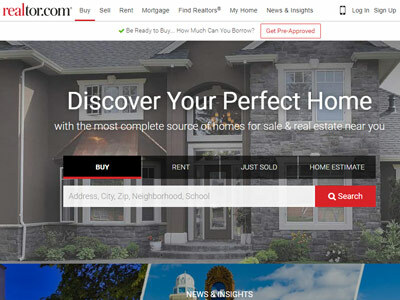 Realtor helps their audience find their perfect home with listed property and real estate. 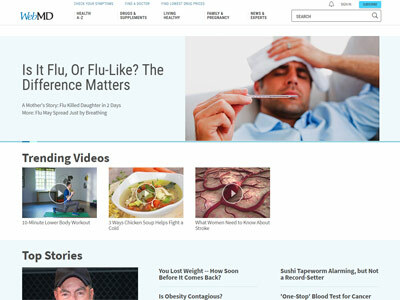 Launched in 2003, SEJ is unique in its community-based approach to search marketing content. 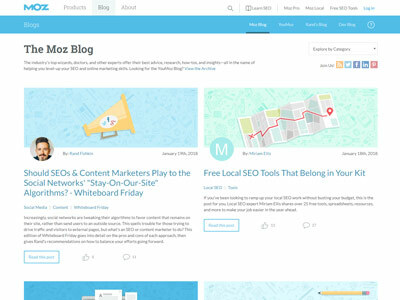 They educate and empower the SEO community by providing the freshest news and latest best practices. 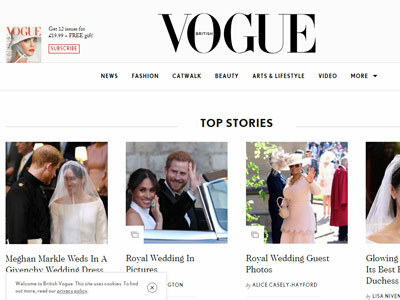 Fashion, trends, latest news, catwalk photos, and designers. 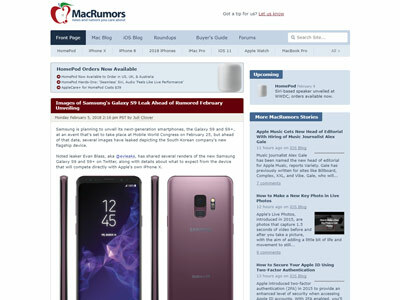 Founded and owned by Arnold Kim, MacRumors attracts a broad audience of both consumers and professionals interested in the latest technologies and products. 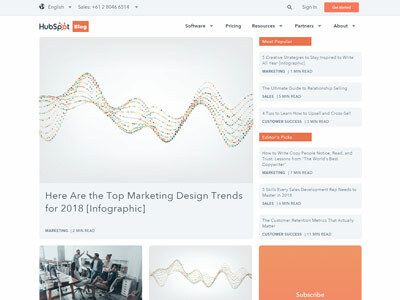 Founded by B. Halligan and D. Shah in 2006, HubSpot is an inbound marketing and sales platform that helps companies attract visitors, convert leads, and close customers. 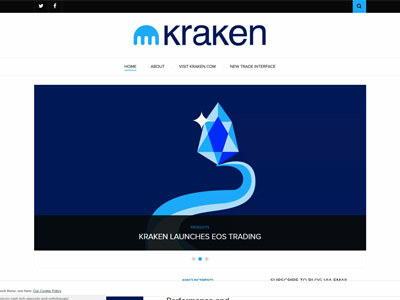 Trusted by hundreds of thousands of traders, institutions, and authorities, including Germany’s BaFin regulated Fidor Bank, Kraken blog is the blog of kraken- crypto currency exchange, which provides daily market reports about cryptocurrencies. 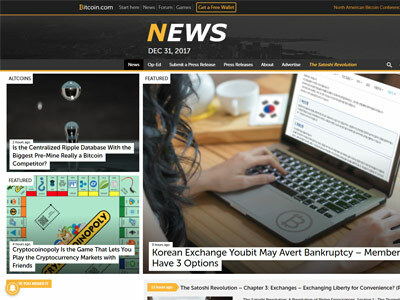 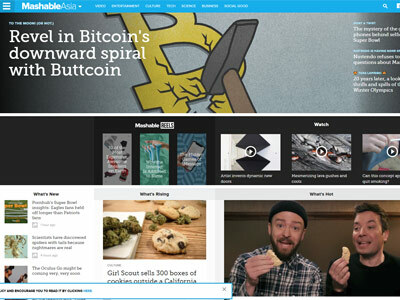 Founded in 2013, NewsBtc brings quality news content, reviews, technical analysis and other unique insights to the ever-growing cryptocurrency community. 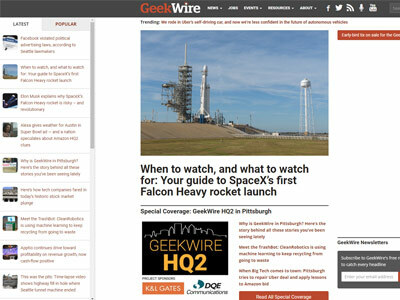 Started in 2011, Geekwire is the technology news site that has a large audience of loyal, tech-savvy readers around the globe, who follow the site for breaking news, expert analysis and unique insights into the technology industry. 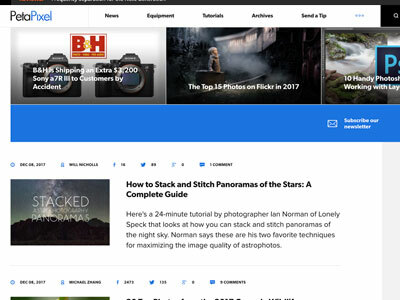 Mozilla Hacks is written for web developers, designers and everyone who builds for the web. 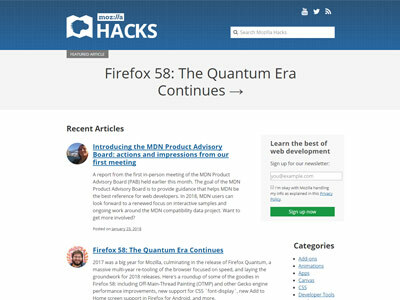 Hacks is produced by Mozilla's Developer Relations team and features hundreds of posts from Mozilla. 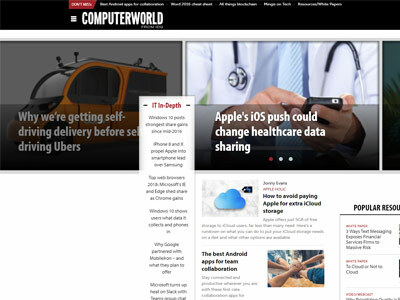 Computerworld focuses on empowering enterprise users and their managers, helping them create a business advantage by skillfully exploiting today's abundantly powerful web, mobile, and desktop applications. 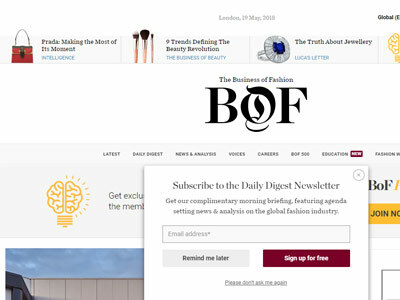 News and analysis from within the fashion industry. 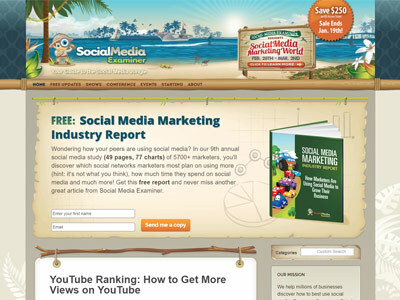 Boasting over 450,000 email subscribers, Social Media Examiner helps millions of businesses discover how to best use social media to connect with customers, drive traffic, generate awareness and increase sales. 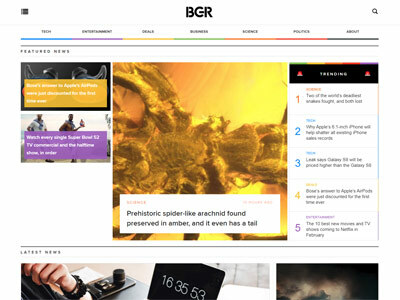 BGR is a leading online destination for news and reviews focused on the mobile and consumer electronics markets. 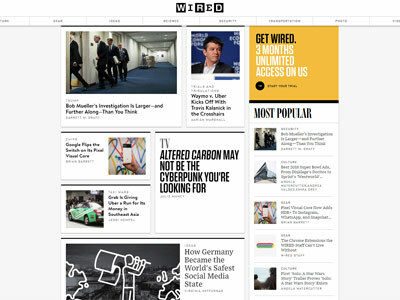 It is America’s #1 source of exclusive and breaking mobile news, and a technology category leader among early adopters. 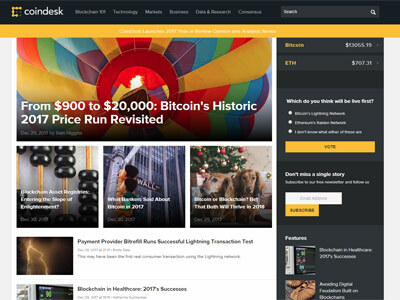 Bitcoin.com is a premier source for everything Bitcoin related. 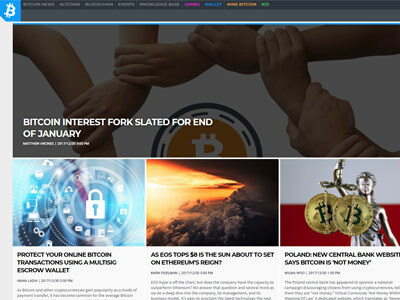 The website features the latest news and updates, it also provides facility to engage with the community on a Bitcoin Forum. 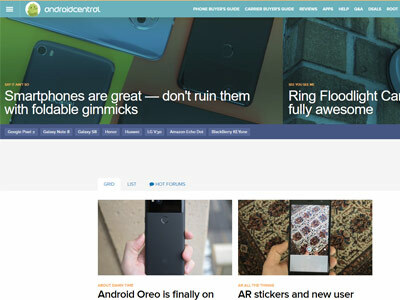 AndroidCentral is led by a team of experts and backed by an engaged community of technology enthusiasts and taste-makers, Android Central navigates the competitive and often confusing world of Android! 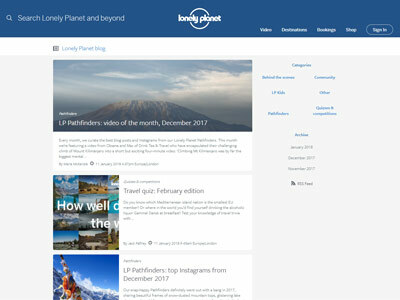 Run a blog? 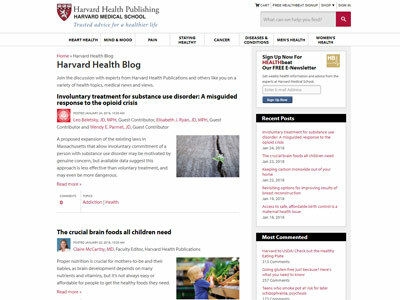 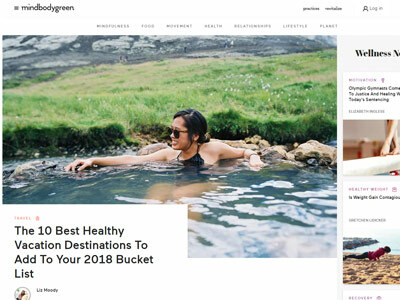 Want your site featured here? 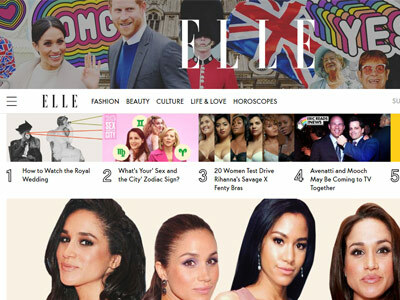 If you think your site could make it into the top 50 (any category), please send us an email.